The waning days of 2013 are a time of reflection on the most significant events of the year. It’s also a time to take a look at the most significant, controversial, and attention-grabbing books of the year. This year at the FPA, I picked the books in four categories: U.S. foreign policy, U.S.-Iranian relations, international security, and religion and politics. Undoubtedly, the number of great reads is larger than what you see in this selection. However, I picked these books based on the following factors: the significance of their topic in international relations, their contribution to foreign policy debates, the public reaction to them, and the coverage they received in the media. Religion and politics as a topic received a great deal of attention (Bokhari-Senzai, Aslan, Akyol) as much as did the topic of homeland and nationhood (Shavit). 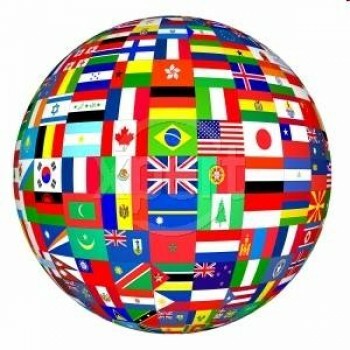 These topics were influenced by political developments in the Post-Arab Spring countries as well as continuation of the impasse in the Arab-Israeli conflict. They are also a reflection of the continued rivalry, if not outright clash, between forces of theocracy and proponents of a more liberal social order over the future of their respective countries. The most significant book of the year in international relations and foreign policy was Foreign Policy Begins at Home by Richard Haass, President of the Council on Foreign Relations. 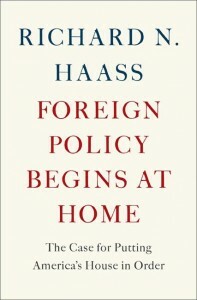 According to Haass in this book, the biggest threat to the United States comes from within not abroad. This thought-provoking book turns readers’ attention to the problems the U.S. is facing at home such as declining quality of education, a decaying infrastructure, and dangerously high debt levels, to name a few. The future of U.S. leadership on the world stage, according to Haass, heavily depends on the ability of U.S. policy makers to put the United States’ house in order at home so that it can lead effectively abroad. 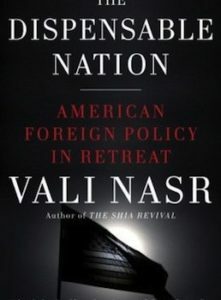 In a wide-ranging criticism of the Obama Administration’s foreign policy and its missed chances of improving America’s global standing, Dr. Vali Nasr, Obama administration’s former special representative for Afghanistan and Pakistan (AfPak) and currently dean of the Johns Hopkins University School of Advanced International Studies in Washington, warns its readers of a flawed U.S. foreign policy that has proved to have benefitted Russia and China, two countries that continue to see their influence rise in the Middle East and elsewhere at America’s expense. Dr. Nasr argues that the Obama Administration has essentially pursued many policies of the Bush Administration. He uncovers the ideological tugs of war at the State Department and the differences in style and management in formulating foreign policy. The Dispensable Nation is already a Financial Times best book of the year. 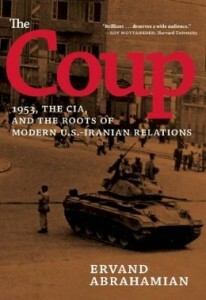 Ervand Abrahamian, distinguished Professor of Iranian and Middle Eastern History and Politics at the City University of New York, offers a decidedly authoritative account of the 1953 Coup that deposed the government of Dr. Mohammed Mosaddeq, and examines how the coup’s aftermath has shaped U.S.-Iran relations since then. Dr. Abrahamian’s meticulously researched account of this pivotal historical event has the potential to change Amercians’ understanding of the complex dynamics of U.S.-Iranian relations particularly at a time that disputes over Iran’s nuclear program continue to vex this difficult relationship. 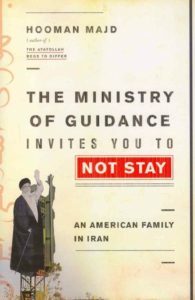 A charming account of everyday life in Iran by the Iranian-American writer Hooman Majd, this book offers what average Iranians experience in their socio-political and cultural lives in Iran’s theocratic system of governance. Majd, who periodically travels to Iran, experienced the Iranian life, this time with his American wife and his son. Using at times a satirical language to communicate with his readers about the facts of life in Iran, Majd tells me that in comparison to neighboring Arab states, Iranians generally hold more liberal attitudes and views on social and cultural issues, however, certain cultural differences are not easily bridged when it comes to topics like homosexuality and women’s rights. Majd believes that Iranians have the same desire for the rule of law as much as they do for a more liberal socio-political order and that he finds it difficult for President Rouhani to deliver on any of his promises—at least to the satisfaction of many of his young supporters—unless, according to Majd, the economy improves and the nuclear issue, which Rouhani has staked his credibility on, is resolved. The fall of Arab monarchies in the Persian Gulf, according to the author Christopher Davidson, is not a matter of if, but when. Davidson, who teaches Middle East politics at Durham University, argues that the Gulf Sheikhdoms, in the face of Arab Spring upheavals, have simply bought time with their petrodollars and that time is running out for them. He argues that we could see the unraveling of their governance model, which, in the age of Twitter and Facebook, seems largely anachronistic and out of touch with the demands of their people. Dr. Davidson offers a bleak analysis of the Gulf monarchies and what the future has for them in store based on facts and his longstanding research work on these regimes and the dynamics of their relationships with the outside world. 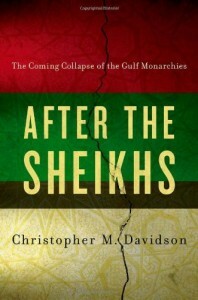 In After the Sheikhs Dr. Davidson puts on display his disagreement with those in the West who argue Gulf monarchies have weathered the storm due to effective economic policies, and argues that the social and political legitimacy of Arab monarchies is on a downward spiral, a deciding factor in what he sees as their eventual fall. This book is a detailed and meticulously researched work by Dr. Matthew Levitt, Senior Fellow and director of The Washington Institute’s Stein Program on Counterterrorism and Intelligence. 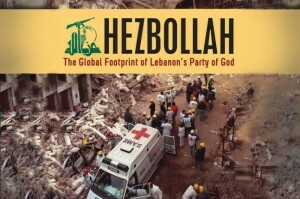 In Hezbollah Levitt shows us the complex and multi-faceted nature of Hezbollah as not only a Shia religious movement fighting Israel on behalf of Iran, but also as a criminal enterprise with operations in the Middle East, Europe and other parts of the world. The book uses a diverse set of sources including declassified government documents, court records, and personal interviews with intelligence and law enforcement officials around the world. Hezbollah is arguably the most comprehensive assessment to date of the most powerful institution in Lebanon. Is Islam Compatible with Western liberal values and can it become part of a democratic system of governance? In Islam without Extremes renowned Turkish journalist Mustafa Akyol looks at the roots of political Islam and charts the course of conflicting forces and ideologies that have brought political Islam to its present shape. Akyol is known for his regular columns for two Turkish dailies, Star and Hürriyet Daily News. He also has recently started writing as a columnist for the International New York Times. With a historical approach, Akyol uncovers Islam’s at times anachronistically progressive attitude to women’s rights and other social issues. He demonstrates how political interests started vying for influence within Islam and criticizes both religious extremism and hardline secularist forces. Akyol argues that in today’s globalized world Muslim societies can thrive economically and politically only in a secular system of governance. 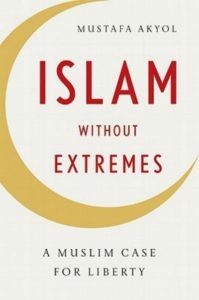 Islam without Extremes is a recipient of the Lionel Gelber Prize, a literary prize awarded by the University of Toronto for the best nonfiction book in English that seeks to deepen public debate on significant international issues. Undoubtedly one of the most attention-grabbing books of the year, Zealot, by the Iranian-born American author and scholar Reza Aslan puts on display a picture of Jesus that is not commonly discussed or debated in Churches and in popular media. Dr. Aslan, who is presently Associate Professor of Creative Writing at the University of California, Riverside, recreates Jesus’ life based on historical writings including Roman documents of the time. Earlier this year in a discussion with the FPA, Aslan said that his book essentially places Jesus “within the cultural, religious, social, and political context of his time, which is something that most people don’t think about doing”. He went on to say that he hasn’t done anything different than what people have been doing in this field for many years, but the fact of the matter, according to Aslan, is that a lot of these conclusions are unfamiliar to a broad general audience. 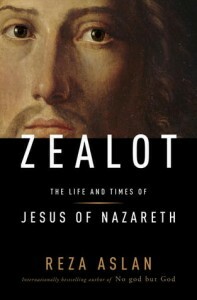 The key factor in making Zealot one of the most attention-grabbing books of the year is its examination of Jesus solely as a human being, which for millions of people around the world, Christians in particular, is problematic since the core of Christianity says that Jesus was both God and a man. 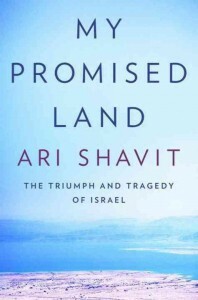 Authored by Ari Shavit, a columnist for the center-left Israeli daily Haaretz, My Promised Land has generated heated debates for its objective and, for many readers, brutally honest look at Israel and its conflict with Palestinians. Shavit relies on personal accounts and experiences of Israelis and offers an honest criticism of Israeli leaders and their policies. He also looks at Palestinian leaders’ inability and at times incompetence in delivering their promises to their Israeli counterparts. With a moral outrage that is combined with sense of honesty toward the occupation of Palestinian lands and his passion for Zionist ideals, Shavit invites fellow Jews and Israelis to have a fresh look at Israel and its history. A timely book on a topic that has occupied the minds of many in defense, intelligence, academia, and economic circles in just about every corner of the world. This book, co-authored by Kamran Bokhari and Farid Senzai, two respected experts in both academic and intelligence circles, takes a dive into the complexities of political Islam and its struggling transition in the region. Political Islam is a global topic of discussion that is portrayed as both a threat to and an opportunity for peaceful political transition of Muslim societies. 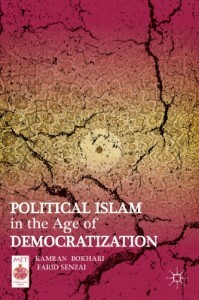 On the book’s theoretical premise, Bokhari, who in January will be my guest at Candid Discussion Series, says that he and Senzai “used democratization theory to try and make sense of the evolution of Islamism in the Middle East and South Asia since the beginning of the 1990s”. Their thesis, according to Bokhari, is that democracy in the Muslim world will take root but it will be different from what we have in the West given that Muslim democracies (to varying degrees) will allow for religion to have some (as yet undefined) role in public affairs. Kamran Bokhari is Vice President of Middle Eastern & South Asian Affairs at Stratfor, a U.S.-based global intelligence company. He is also a Visiting Lecturer in the Department of Politics & International Relations at the University of Westminster and a fellow with the Institute for Social Policy and Understanding. Farid Senzai is Assistant Professor of Political Science at Santa Clara University and Director of Research at the Institute for Social Policy and Understanding.